I have just spent the past two weeks caring for my two boys (aged 6 and almost 4) over the elder’s school holidays. I can honestly say there was nothing “holi-” about the period, and the “-days” certainly seemed to stretch way beyond the normal 24-hour cycle. Actually, I am not being fair to the two princes. The first week was, in fact, quite enjoyable, doing things they were not allowed to do by their mother (eg watching TV in the afternoon), going to places frowned upon by their teachers (eg amusement parlours, toy shops), and eating stuff all mothers and teachers guzzle down themselves but preach moderation to their underlings (eg donuts, ice cream, chocolate). 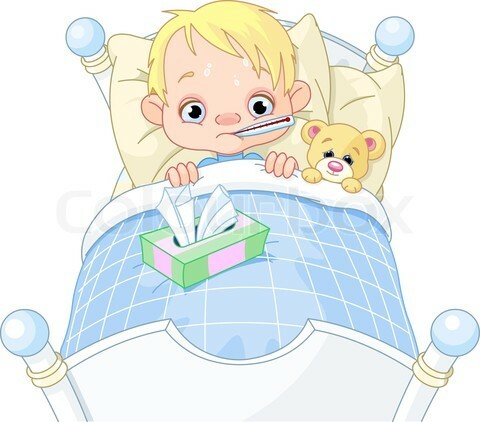 Hell gradually began to break loose at the end of the first week, when the younger one showed clear symptoms of the flu (temperature, suddenly not eating donuts/ice cream/chocolate, clinging to his mother even more than usual). On Monday morning of the second week, as she was walking out the door to go to work, my wife decreed that the younger son needed to stay home that day instead of attending to his usual daycare centre. I then heard the door shout, the car screech out of the driveway and, before I knew it, I was left with one very cranky sick boy and one very hyperactive bored one. And the time was … 7.15am! As the younger one began to recover around middle of the week, the elder one naturally decided to also get sick and further test the resilience of his father. And instead of getting cranky, my first-born typically goes quiet as the temperature soars, until the volcano erupts with impressive projectiles of vomit all over the place. The younger one, of course, was oblivious to the stress that his father and brother were under, and demanded to be entertained and fed donuts/ice cream/chocolate. I will spare you the rest of my eventful week. As I write this, both of them have completely recovered now and are sleeping soundly. I even managed to go for a very peaceful 18km jog along my favourite riverside track this afternoon. And for a very brief short time during the run, between catching my breath after a fartlek (not a swear word) interval and stuffing a handful of jelly beans in my face, I wondered how all those stay-at-home parents manage multiple children during school holidays without going completely insane. Perhaps they finish each day with a stiff drink? Or maybe an oversized bowl of M&Ms while watching youtube? I had no idea. So I dropped the thought, kept on running and, about 4km later, waved to a tranquil-looking middled-aged woman jogging past me going the opposite direction. This entry was posted in Parenting on October 6, 2012 by The Jogging Dad.